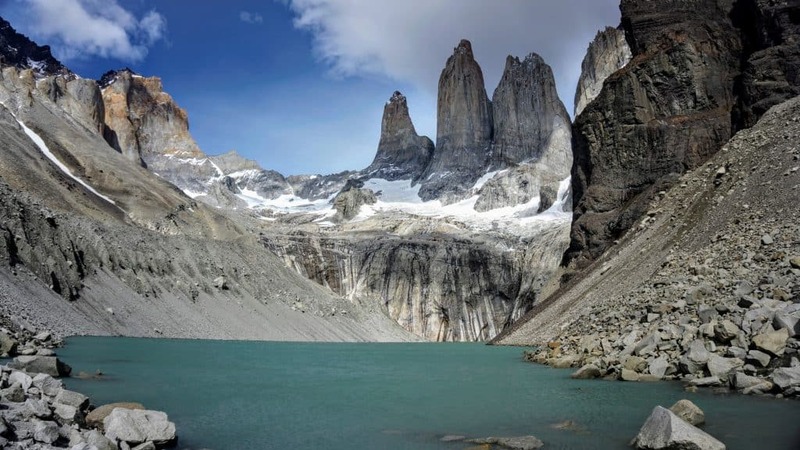 In South America, there is a country nestled between the Andes and the Pacific Ocean known as the Republic of Chile. 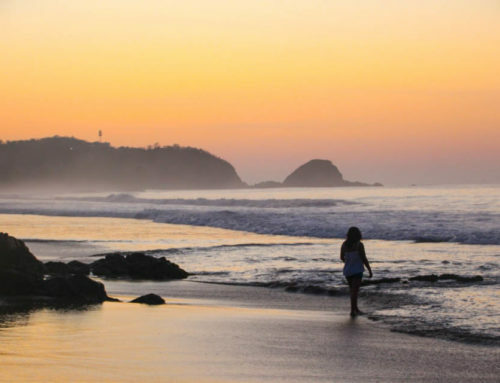 There are many legends as to why this country was named Chile including a derivation from the Mapuche word that means “where the land ends”. 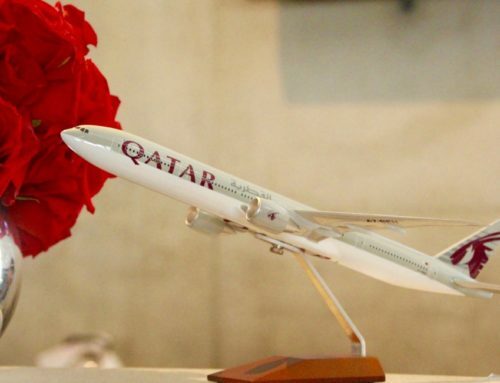 Others might think it has to do with Chilean food or the red chili. However, regardless of how Chile’s name came to be, one thing is for sure, Chilean food is delicious! And I should know, as my husband is half Chilean and has a Chilean mother that can cook! I love it when we visit there or she visits us, as she inevitably makes her traditional Chilean foods that he loves. 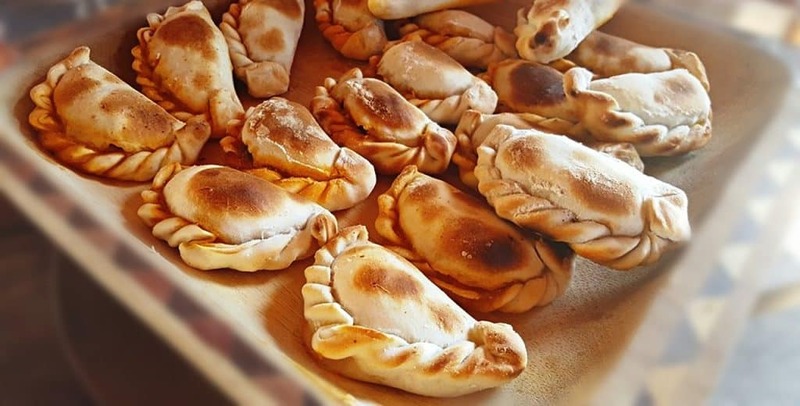 Things like Empanadas, Pastel de Choclo, and Machas de la Parmesana with Pisco Sours or Chilean Wine. These things are always on the menu and a staple food in our house when she comes for a visit! 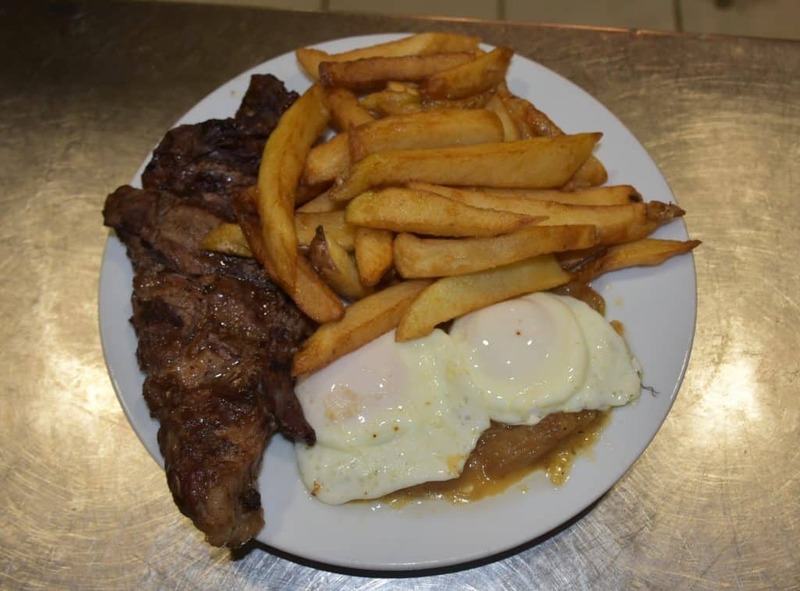 In South America countries, food is known to increase the culture of a country and bring people closer together. Chile is no exception! 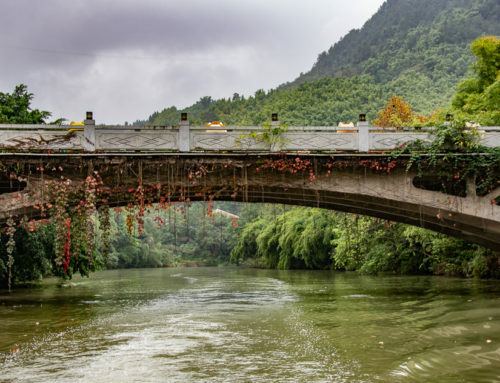 Before and throughout most of the 18th century, Chile was heavily influenced by the Spanish, including their food, culture, and architecture. During the 19th century, more European countries such as Germany and France began to introduce their cuisine and culture to the southern part of Chile. 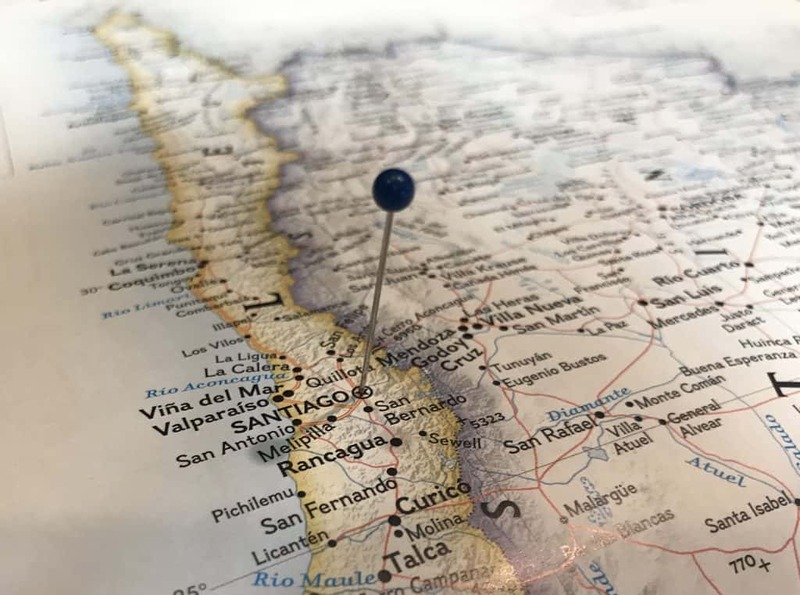 Split into 3 different sections, Chileans are known to have a different culture, music, and cuisine style depending on if they are from the north, central, or the southern part of the country. One thing is for sure though, no matter where in Chile you visit, traditional Chilean food is always delicious! 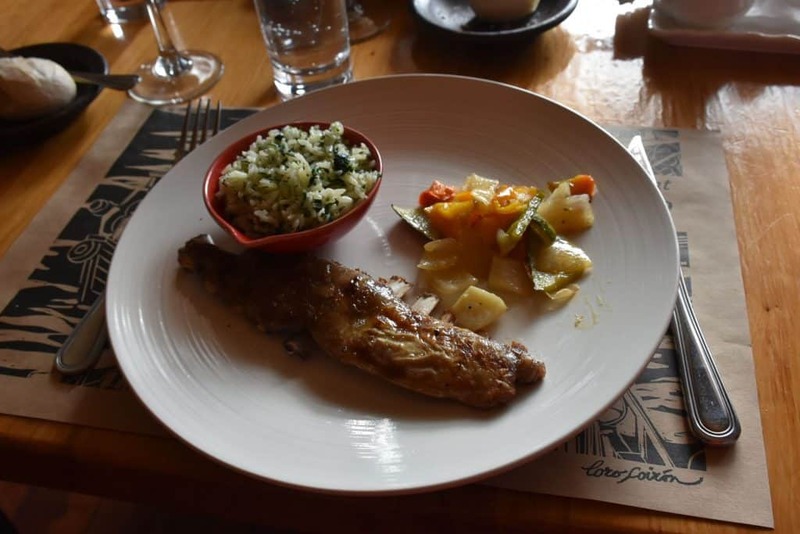 ✦ Chilean Cuisine From the North of Chile! One thing I always get the pleasure of eating when my mother-in-law comes for a visit is the traditional handmade Chilean Empanada. It is a pastry dish that has meat or cheese or even jam inside of it. The one she typically makes has beef inside the baked pastry. Her Chilean empanada consists of ground beef mixed with onions, raisins, olives (typically seedless black and sliced), and hard-boiled eggs (cut or sliced into pieces). They are delicious, as the raisin makes the savory beef sweet! You can also stuff the Chilean empanada with cheese or even jam. The top she typically brushes with butter or lard to make the top crispy when it is being baked. Each empanada maker has their own way to wrap it up, as I have seen several different styles on how to make the seal. 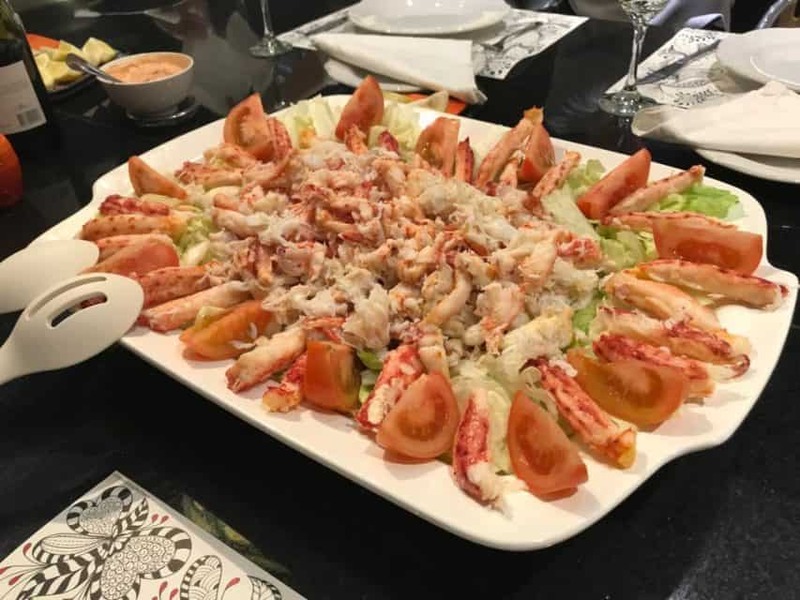 In the Northern part of Chile, there are typical dishes that can be found such as Machas a la parmesana, which is a seafood dish made with machas (or clams) topped with parmesan and gouda cheese, white wine, cream, and butter). This is one of my favorites that my mother-in-law makes as well. She even brings the machas in a can with her when she comes to the “States” (USA) to make them for us! One time she came to “the States” with natural seashells from Chile so that she could serve them in the shells! Another northern Chilean dish served often is risotto, made with quinoa and yellow peppers. ✦ Central Chilean Cuisine You Won’t Soon Forget! One of the most typical and satisfying foods from Chile is the Completo (served like an American hot dog is served). Completo’s are a typical Chilean-style “hot dog” that can be found in shops and stands throughout Chile. When we think of a “Chili dog”, we are NOT referring to the hot dogs from Chile. One of the more beloved “hot dog” sandwiches is called the completo Italiano (or at least this one is my favorite). This sandwich includes bread, tomatoes, mashed avocado, mayonnaise. The red, green, and white of the main ingredients resemble the colors of the Italian flag, hence the name of the sandwich. I’ve eaten my share of completo’s, especially in downtown Santiago near Ricardo Lyon Street, as my mother-in-law has an apartment in that area. I also used to eat them when on a break from taking Spanish lessons at the University of Santiago in downtown Santiago. They are absolutely delightful and remind me of a German sausage hot dog with tomato and avocado. Two of the most popular sandwiches in Chile are the Barros Luco and Churrascos, which resemble a cheesesteak disguised as a grilled cheese sandwich. The central part of Chile also has its own dishes such as the Pastel de Choclo, which is a type of casserole using corn and beef (another dish to die for). As well as another version of this dish called Pastel de Papas, which incorporates beef and potatoes instead of corn. All these dishes are amazing and made each time my mother-in-law visits as well! I guess I am lucky in that I have a mother-in-law that loves to cook for her son and always makes these traditional Chilean foods that he can’t get anywhere else while in “the states”! 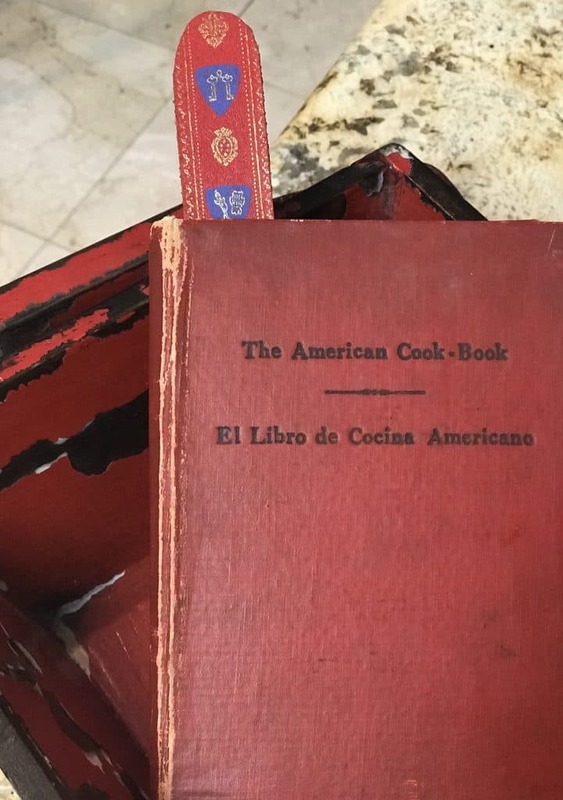 She even gave me a recipe book from 1961 called The American Cook Book or El Libro de Cocina Americano... recipes that were collected, edited and revised by the Association of American Women of Chile! I am not quite sure why she has this book, as she is not an American, but born and raised in Chile, although she was married to an American for many years. Maybe she was mingling with the American ladies who were visiting Chile in the 1960’s and they learned to cook from it back then. 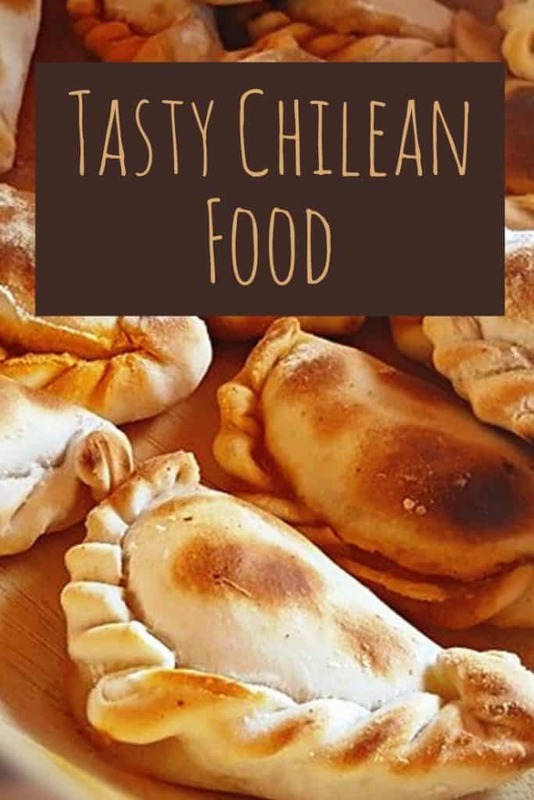 ✦ Southern Chilean Food You Won’t Soon Forget! 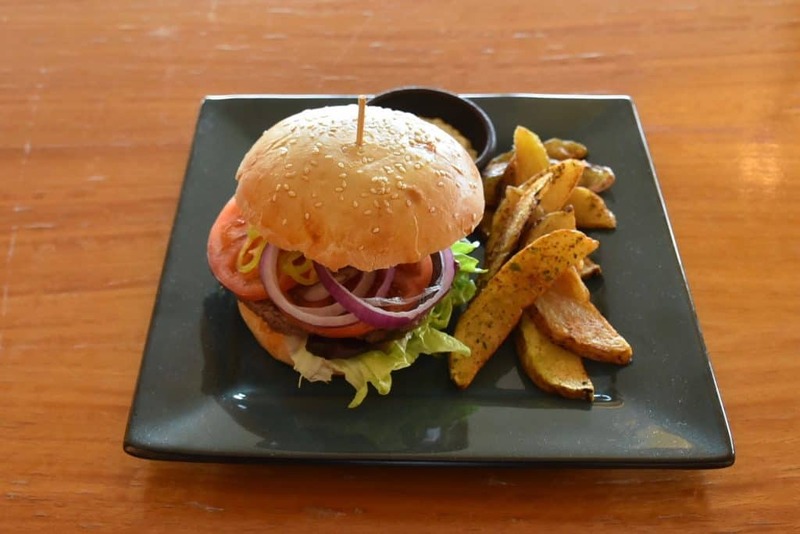 In the southern part of Chile, some traditional dishes that you may find tasty are the Arrollado de huaso, which is a pork roll with bacon slices, chilis, and spices, rolled in pork skin, boiled and served with an avocado salsa. Another typical Chilean food is Sopa Patagonia, which is a pork soup mixed with potatoes, shrimp, and mussels. 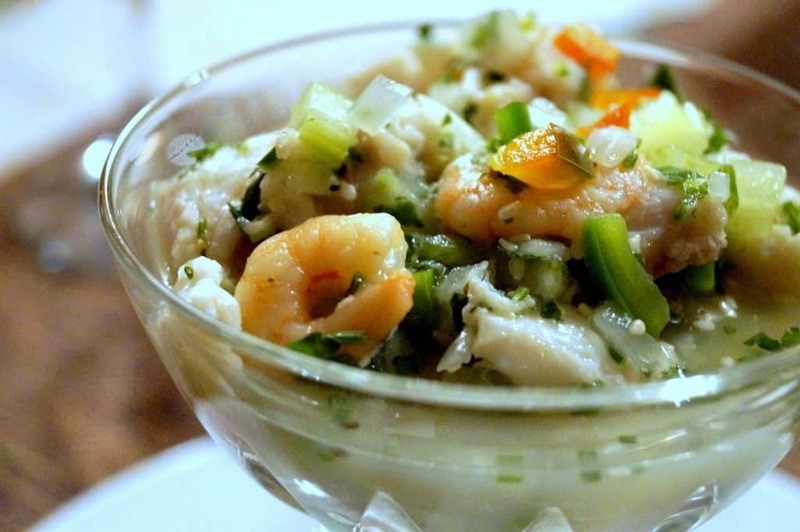 Since Chile borders the Pacific Ocean, seafood dishes such as Ceviche are typically made from raw fish or shrimp. 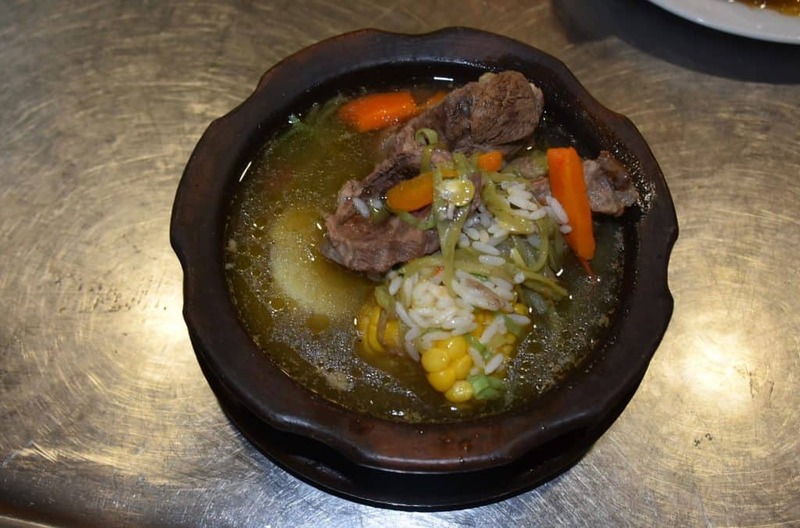 To get through the cooler nights of southern Chile, there is also a traditional Chilean stew called Cazuela that is made with peppers, quinoa, chili, corn, potatoes, and meat (usually chicken). 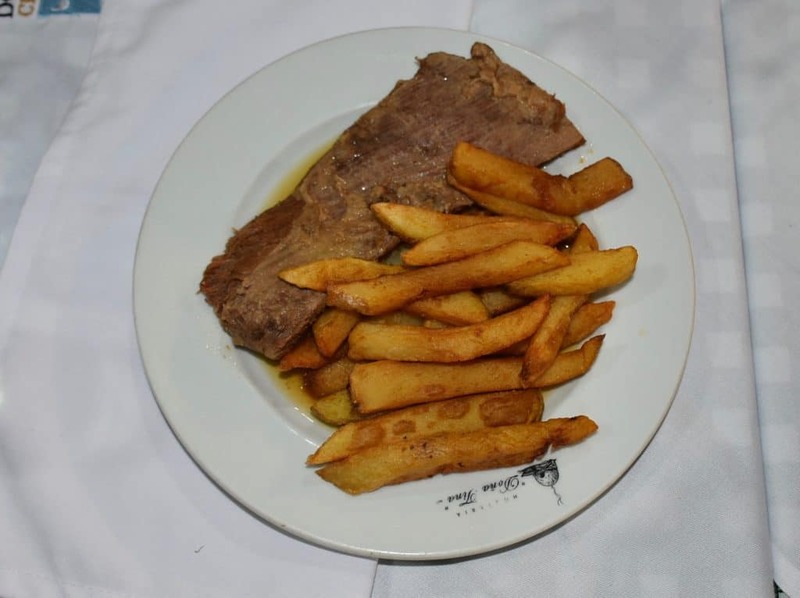 Plateada is a very popular home-cooked dish in chile and also appears on the menu of traditional Chilean restaurants. It literally means “silver-plated” and is the rib cap of a cut of beef (specifically the spinalis dorsi that is above the ribeye). The word silver refers to the skin on the rib side of the meat, as the other side is a thick layer of fat. Another traditional Chilean food is Chorrillana. This dish is a French fry lovers dream because it includes a huge plate of fries covered with meat, sausages, eggs, chorizo, tomatoes or any other ingredient you might want! Another traditional Chilean meal is called the Pernil, which is a slowly cooked or roasted marinated pork leg or shoulder. This dish is made like a pot roast and includes flavors such as pepper, oregano, salt, and lime. This is a popular dish for Christmas. 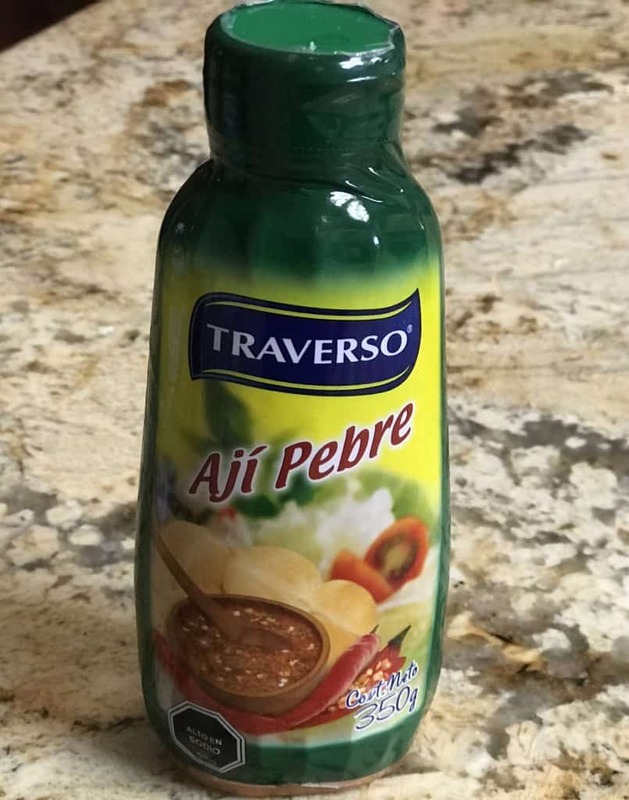 While North Americans love their ketchup, mustard, and mayonnaise, Chileans love to eat Pebre or Aji Pebre sauce as their condiment. This condiment can be put on almost anything and it is made to be put on vegetables, meat, and seafood. 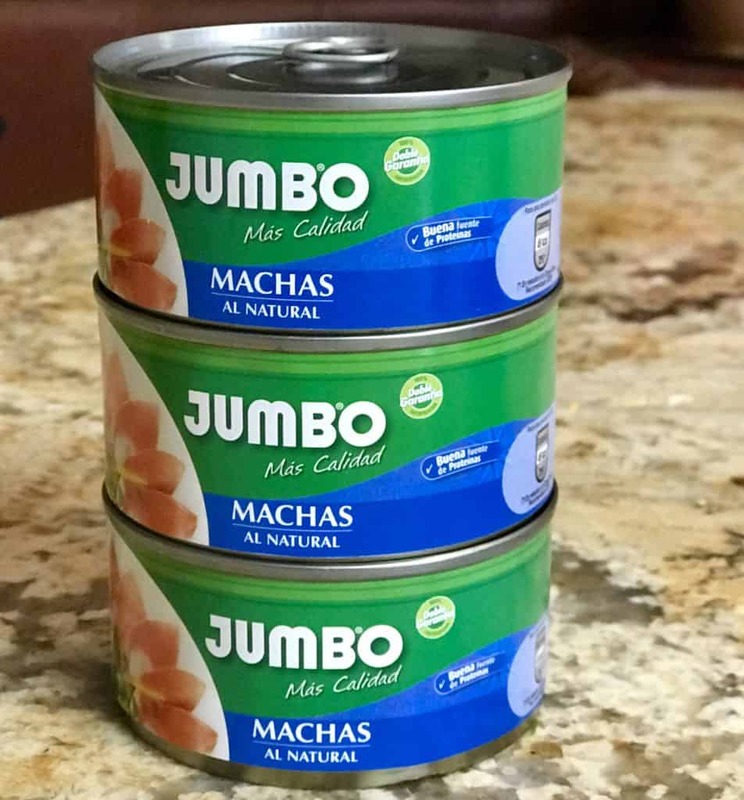 The photo below is one that you typically can buy in the grocery stores in Chile (like Jumbo), but my mother-in-law makes her own fresh and man oh man, it is good! A non-alcoholic drink that is typically consumed in the summer is the Mote con Huesillo, which is made from wheat and peaches. And let’s not forget about the smoothness of a great Chilean wine. 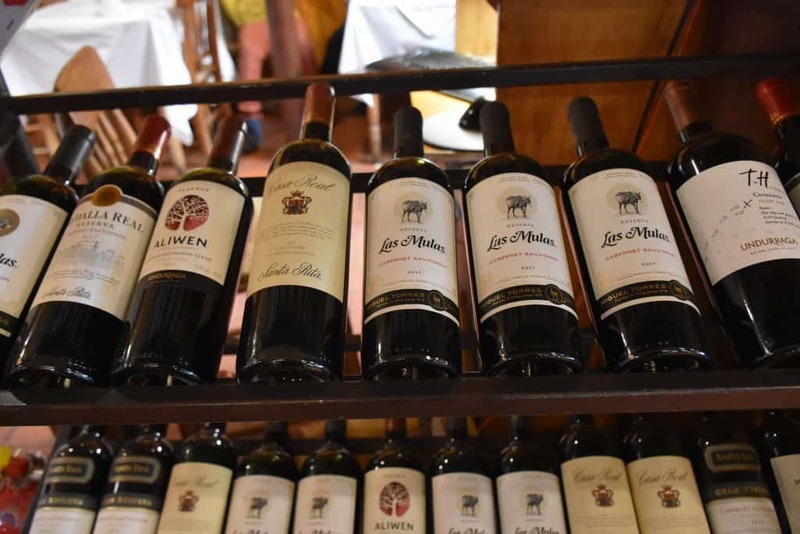 Local wineries grow the best grapes in the country to make delicious red or white Chilean wine. The reason that Chilean wine is so delicious is that during the 16th century, the Spanish brought to Chile the Vitis vinifera vines (the common grape vine native to the Mediterranean and central Europe). This has helped perfect the Chilean wine you see today that gets such raves reviews! 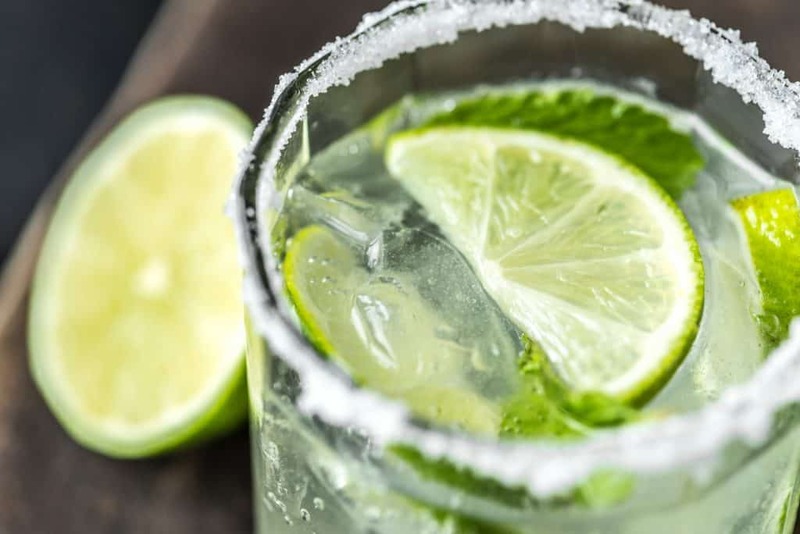 The Pisco Sour is also a well known Chilean drink that is made from lime juice, syrup and egg whites, and of course, Pisco liquor. Who can forget about dessert? 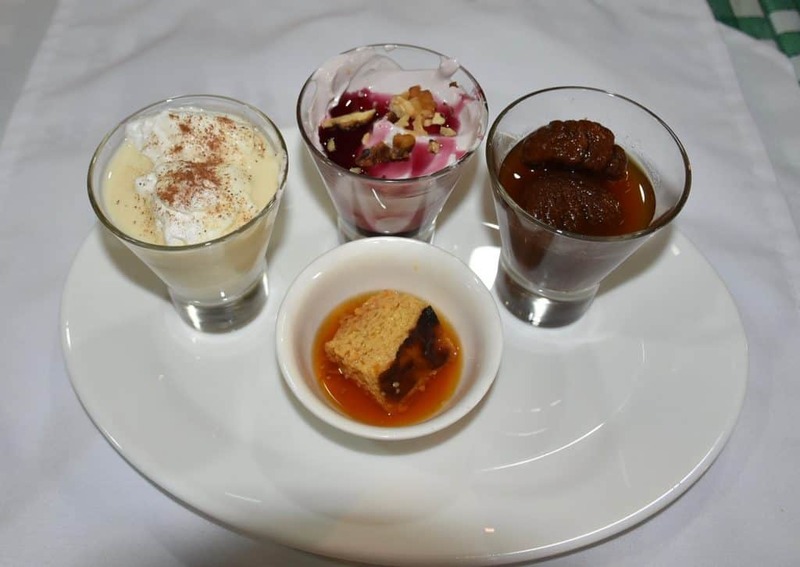 Desserts can be the best part of a country’s cuisine, especially the delicious desserts from Chile. 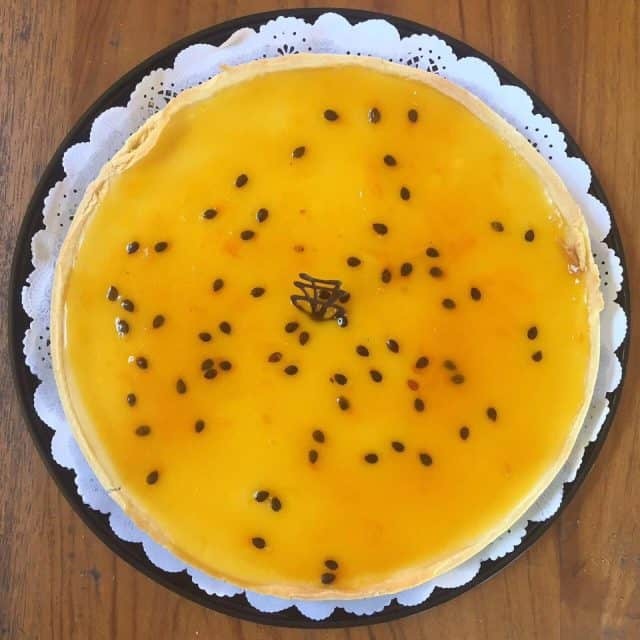 Some of the best desserts include the Sopaipillas (a deep-fried flatbread topped with sugar or honey), Manjar (milk and sugar icing), Cuchuflis (hollow roll stuffed with Manjar), and Tres Leches cake (made from three different kinds of milk mixed into a sponge cake). Another delicious traditional Chilean dessert is the Alfajores, which is like a Manjar cookie sandwich. 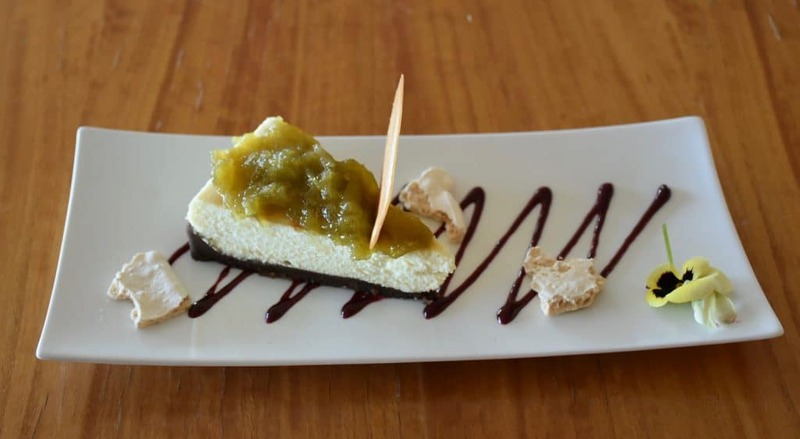 While visiting the south of Chile, don’t forget to try the Kuchen. 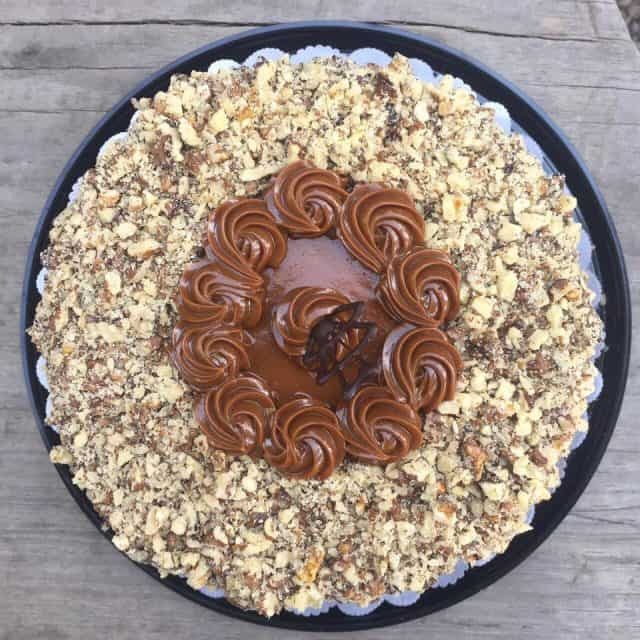 The name may not sound Spanish by the ingredients include fresh chunks of locally grown fruit, topped with a crust or crumble. These Chilean desserts are super tasty! Throughout the country of Chile, there are many farms that are growing to help promote traditional Chilean food. Some of the best olives are grown in the dry northern part of Chile. 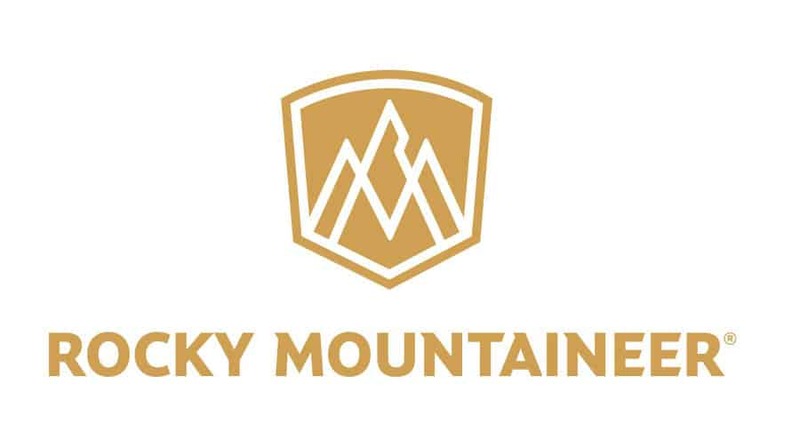 The Andes mountains are best known for producing a fruit called Cherimoya. Maize, aka corn or choclo, is also a large ingredient used in typical Chilean dishes. Chilean Humitas are a ravioli-like dish that is filled with corn, basil, onion, and butter. 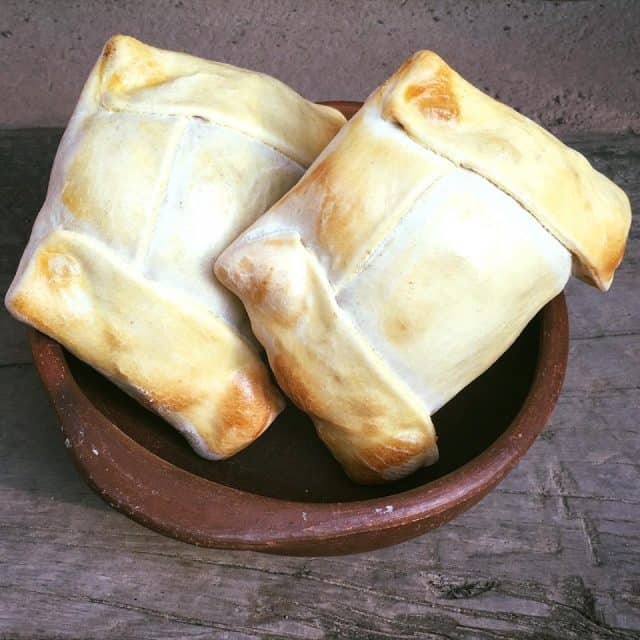 Two of the most traditional and delicious bread of Chile are the Pan Amasado and Marraquetas. The Pan Amasado is a kneaded bread that is typically found throughout the country. Marraquetas are a Chilean take on the French bread rolls. They are made to be crisper than the traditional Pan Amasado. No matter where in Chile you visit, keep in mind that even though the locations may differ, the food is scrumptious! 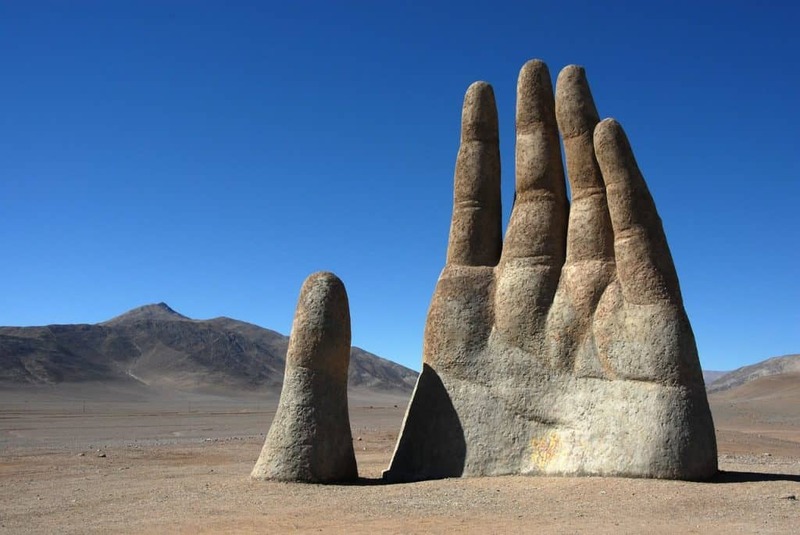 If you cannot visit the country of Chile, then bring Chile to you. Often, supermarkets or local shops will carry ingredients that can help you make a batch of kuchen or a Completo Italiano. Why not by a Chilean cookbook and learn to cook traditional Chilean foods? Your taste buds will thank you!